Sculptra® is a long-lasting collagen-stimulating injectable that is not technically a “filler”. A few days after your treatment it may appear that nothing was done. However over the course of a few weeks to months, facial volume is replenished as natural collagen is manufactured by your body. Sculptra® consists of poly-L-lactic acid (PLLA) microparticles that stimulate fibroblast (connective tissue cell) production and collagen synthesis. Collagen deposition leads to smoother skin and the correction of moderate to severe volume loss. Sculptra® is not a fine line or lip filler, but is best used for augmentation of all areas of facial volume loss. We now offer “Pain Free Injectables” with “laughing gas”. Contact our office for details. What is “Deflation of Aging”? Deflation of aging involves loss of facial collagen and bone volume and can also result from loss of fat. With volume loss, the face changes shape from a triangular shape with fuller cheekbones to a more rectangular appearance due to loose sagging skin and jowling. The loss of volume can be the source of social and emotional debilitation. Restoring volume in the face helps you to look younger by lifting and filling droopy skin by providing a more youthful underlying shape and framework. The boost in collagen is an immune reaction to the PLLA injected material that helps plump the area from within. Your own connective tissue cells located between the muscle/bone and skin react to Sculptra® by producing new collagen to restore volume. Rather than instantly filling lines like traditional fillers, the increase in volume occurs gradually over the course of four to twelve weeks after a treatment. Sculptra® provides a discreet solution with gradual subtle improvement that restores volume and lifts the soft tissues, diminishing lines. Who does the Sculptra® treatment at Saratoga Springs Plastic Surgery, PC? 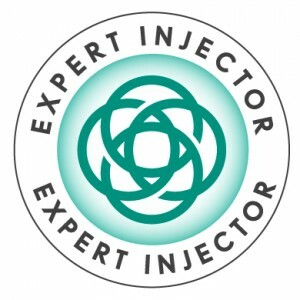 As the Capital District’s only certified “Expert Injector”, Dr. Yarinsky personally administers Sculptra® in a procedure which takes about an hour. Considered a top plastic surgeon, Dr. Yarinsky has had extensive experience with facial filler and other facial injectables in his over 25 years of practice. He has had advanced in-depth one-on-one Sculptra® training from a Manhattan plastic surgeon. A topical triple anesthetic cream is applied which makes the injections comfortable. In addition, local anesthetic is added to the Sculptra® before injection so it numbs the area as it is placed. The anesthetic wears off in several hours but there is little if any discomfort after the treatment. Any area of the face can be treated with the exception of the nose and lips and beneath the thin skin of the ‘tear troughs’. 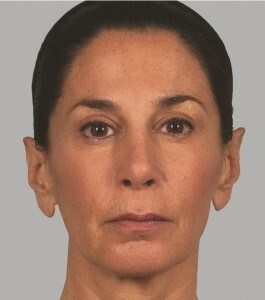 The lower two thirds of the face are the most common areas treated. 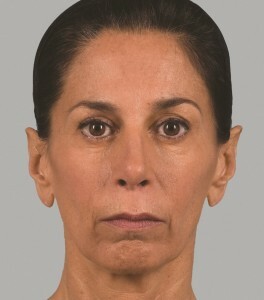 Depressions of the temple and areas of volume loss along the jawline and in front of the ears can also be treated. Generally multiple areas are treated at once using two vials per treatment session to achieve the best possible result. Areas that are concave or depressed are filled and blended with convex areas to re-establish the “bloom of youth”- a full yet contoured face. How many treatments are needed? When will results be seen? Depending on one’s age and degree of loss of volume one to three treatment sessions are needed to reach a plateau. Sculptra® lasts two years or so before repeat treatment is needed to maintain the results. Although results can be seen after one treatment in younger people who have a mild degree of facial deflation, most require at least two or three treatment sessions each separated by four to six weeks to achieve the optimum cosmetic result. Results can be seen four to twelve weeks after the treatments. Results typically are better when you follow our recommended treatment regimen. When can I return to normal activities? Are there any side effects? Is Sculptra® safe? Sculptra® treatments are designed to be safe and comfortable. Side effects are limited to temporary redness, mild swelling, bruising and occasional nodule or lump formation beneath the skin. Usually these side effects last only a few hours to days. You may return to your regular activities and work as soon as swelling and bruising related to the treatment resolves. What does a Sculptra ®treatment cost? The cost varies based on the total area treated, the time it takes to treat that area and the number of treatments needed. Please consult with our staff to receive an accurate fee estimate to achieve your goal. Can anyone be treated with Sculptra®? Sculptra® is for men and women. All skin types and colors can be treated. Those who have thick sun/environmentally damaged skin will not see as good a result as those with thinner supple facial skin. People who have blood clotting disorders and those who take necessary anticoagulants like Coumadin should not be treated due to the significant risk of hematoma, bleeding and bruising. Post treatment bruising may be minimized by cessation of common and unnecessary blood thinners such as alcohol, aspirin, ibuprofen and supplements like fish oil and vitamin E. Pregnant or breast feeding women and those patients with active facial infection such as active cystic acne should not be treated. How do you prepare for a Sculptra® treatment? There is no special preparation needed before treatment. Post treatment bruising may be minimized by cessation of common and unnecessary blood thinners such as alcohol, aspirin, ibuprofen and supplements like fish oil and vitamin E at least two weeks before treatment. Skin should be washed clean. Men should be clean-shaven. Avoid using lotions or face creams and makeup on your skin before treatment. Facial fillers such as Voluma®, Juvéderm®, Radiesse®, Belotero® and Restylane® may be better options to more immediately enhance your appearance. Dr. Yarinsky and our staff will review all options and fully answer your questions at your consultation. There is no substitute for the information you will receive at your one-on-one consultation with Dr. Yarinsky and our staff. The specific risks and the suitability of this procedure for you can only be determined at that time. All procedures have some degree of risk. Minor complications that do not affect the outcome occur occasionally. Major complications are unusual. Most people are very happy with the results but no specific result can be guaranteed. This procedure is done at our Joint Commission accredited office Medical Spa facility in the Albany and Saratoga Springs area.